There's a reason soldiers wear camouflage in combat. It's because in a jungle when they wear fatigues colored subtle shades of green with a little brown, they blend in with their surroundings and become almost invisible unless you're trained to spot them. In a desert the colors change, but the result is the same. I sometimes think that, life truths can be camouflaged as well. Something you need to do could be staring you in the face, but you can't or won't see it. Sometimes it's obvious to everyone around, but it's invisible and a mystery to you. My wife and I knew a woman who was in a bad life situation -- to us, there was no camouflage. To us it was as plain as the words on this page. 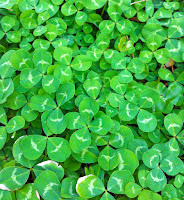 But to her, it was like the four-leaf clover in this picture. The original photograph was much larger but I cropped it down to make the four-leaf a little more obvious so that I would make my point. 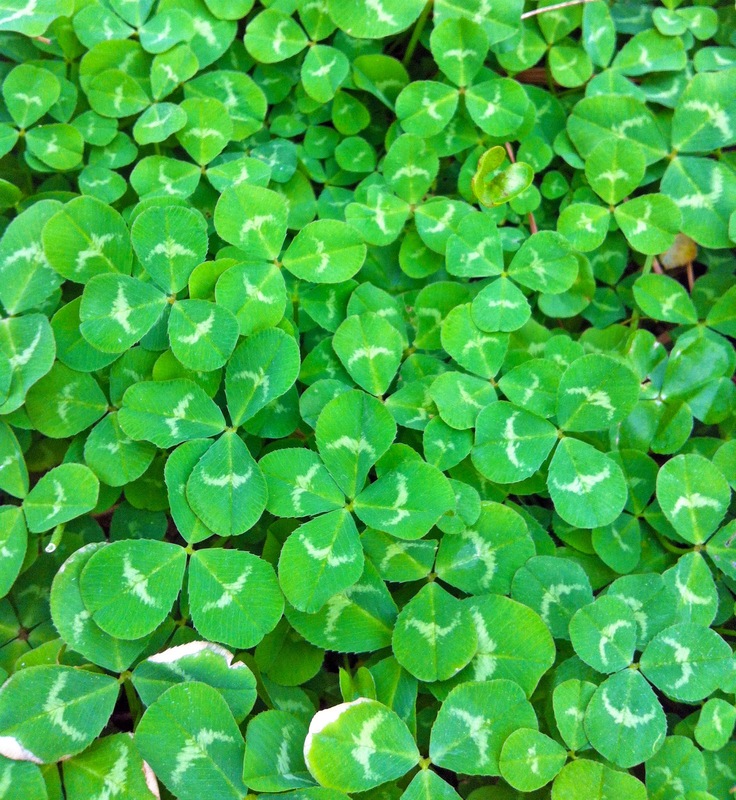 Much like this picture, if you can crop out the noise, and the things that distract you from seeing and thinking clearly, the camouflage won't keep you from seeing the four-leaf clover. Sometimes situations need someone on the outside to see what the problems are! things that hide in plain view...until the scales fall from our eyes and we see! Thanks for the kind comment on my post about Holden. For now I think hiding amongst the clovers would be soothing. BTW I found the four leaf one! Sometimes I think people really do know that they're in a mess but they are so used to things being that way it's much easier to just pretend it's OK. Change is scary. It's hard to be the friend hanging on to pick up the pieces when the camo does fall away. I guess we just hope it's not too late. Great post, very compassionate. I found the 4 leaf clover! Yes, sometimes it's easier seeing what needs to be done when you're slightly removed from the center of the problem. This is why it's easier to give advice than receive it!